Steuben County is unique in the fact that we have 3 prevention providers in our county: Hornell Area Concern for Youth in the western portion of the county, Family Service Society, Inc. in the eastern portion of the county and Steuben Council on Addictions that provides services in the central portion of the county and county wide. Each provides direct services to our youth. 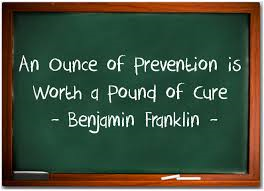 ​Prevention Education Service We are dedicated to assisting our community in choosing healthy, safe and drug free alternatives through evidence based curriculums as well as custom designed educational programs. Our educators are able to provide various programs for all age groups based on the need of the school, agency or community. Professional Trainings We provide Prevention Education Training to teachers, schools, service groups, business and industry. We will custom design training programs. Multi-media Resource Libraries We have resources available countywide for schools, human service agencies, teachers, treatment providers including videos, brochures, pamphlets, display items. Advocacy for Adult Services We assist self-help groups with starting up groups, referrals and organizing positive alternative activities. Substance Abuse Screenings & Referrals We offer screenings to determine if further substance abuse assessment is needed. These screenings are free of charge and provided in a confidential and private setting. Drinking Driver Program for Steuben County (DDP) We administer this Court referred evidence based education program covering aspects of the traffic law and drinking and driving. We work with many local and state agencies to ensure program integrity and completion. We are a NYS OASAS certified counseling site. Counseling services are to address a host of prevention needs, such as, anger management, substance use experimentation, low self-esteem, and child’s feelings regarding family life stress, such as, grief, divorce and addiction. Services are free to youth in Western Steuben County. Provides a number of activities to build skills, and personal life experiences, and increase self-esteem. Mentoring Services: Caring Attitudes Mentoring Program (8-13 yrs). The younger students are provided weekly group mentoring by older teens and adults with activities geared ​​to enrich relationships by sharing the wonder of nature. Prevention Counseling: Prevention counseling provides children with school-based counseling services. We meet with children individually, and sometimes in small groups. Children are referred by teachers, parents and/or school administrators. These children often are having difficulty transitioning from home to school, especially if they are experiencing stress in their home environments. They need ways to separate mentally and emotionally from home stressors. In addition, prevention counselors help children expand their skills in naming and managing their emotions; this reduces the frequency and intensity of emotional outbursts at school. Behavioral issues are also addressed. All behavior has positive intent. By helping a child find an appropriate way to meet the intention, inappropriate behaviors are reduced or eliminated. Prevention counselors are also part of a child’s general support team in the school setting. Children need safe adults to ask questions of, problem-solve with, share feelings with and in general, feel valued by. Prevention counseling is a crucial component of a child’s social/emotional development. Counselors are also a resource to parents/caregivers, providing them with guidance and referring them to community resources.